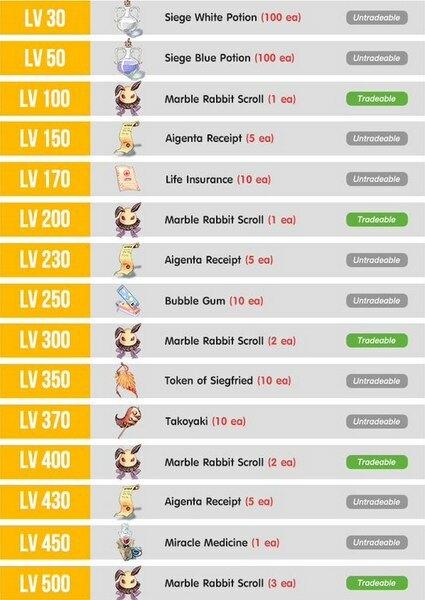 Rewards: Receive Giant Maneki Scroll 2 ea & Aigenta Receipt 10 ea for your first 10,000 KP top-up via EX Cash. Rewards: Receive Black Shiba Scroll 3 ea & Siege White Potion 100 ea & Aigenta Receipt 10 ea for every 10,000 KP top-up via EX Cash. Top up Ragnarok Online via EX Cash now !!! Rewards: Every 100 ROK points will increase 1 level. – Ragnarok Online (MY/SG) Official Site. 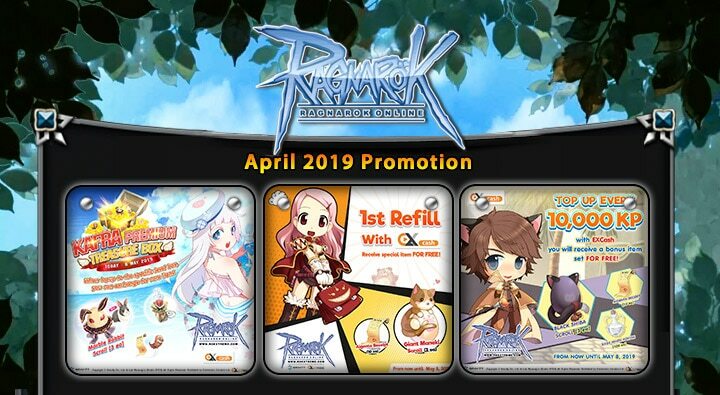 – Ragnarok Online (PH) Official Site.